Lt. Governor of Delhi Najeeb Jung has appointed Right to Information activist Subhash Chandra Agrawal as consultant to the Delhi government. Agrawal, who holds the Guinness World Records for maximum number of published letters to editors, will provide guidance and training on provisions of the RTI Act, 2005 to all PIOs/First Appellate Authorities under the Delhi government during his one-year tenure. Agrawal will also suggest ways and means for better implementation of the RTI Act. He has utilized the RTI Act to reveal crucial information from all wings of governance including Judicial system, having filed about 6000 RTI petitions, all in the public interest, with about 600 of these having reached to the Central Information Commission (CIC). It is a matter of fact that almost all the CIC verdicts have gone in his favour. Agrawal is known for his path-breaking applications which brought the office of the Chief Justice of India under the ambit of the RTI Act. 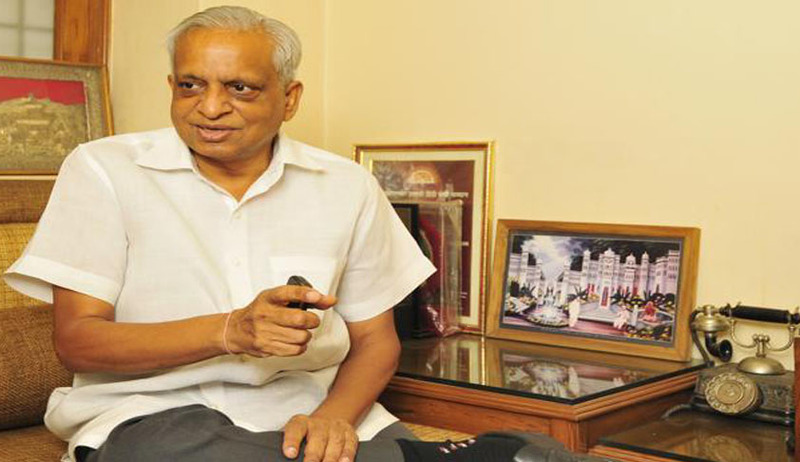 Agrawal’s suggestions implemented by various public-authorities before Right-To-Information Act 2005 are, change in design of Railway Coaches; change in size and metal of coins; publication of Readers’ Digest in Hindi, improvement by Johnson & Johnson in Band-Aid, entry of women in Rotary International etc. His suggestions through letter to editor on constitution review, finance, banking, communications, posts, railways, transport, consumerism, radio, television, civic problems or any other field were appreciated and recognized at highest levels as well as by the public. He has been awarded an award of rupees twenty five lakhs by Sitaram Jindal Foundation for his crusade against corruption. He has been invited by several prestigious organizations including Lal Bahadur Shastri Academy (Mussoorie), Railway Staff College (Vadodra), Defence Research & Development Organization (New Delhi), National Academy for Defence Production (Nagpur) to educate their officers handling the RTI petitions. Indian School of Mines (Dhanbad) invited him to give a key-note address on the RTI Act. He has conducted seminars at educational institutions like Birla Institute of Technology (Pilani), Delhi University’s Law Faculty, Miranda House, Delhi School of Social Work etc., to educate students about RTI Act. He has addressed gatherings at the Rotary Clubs and other social organizations. He is a regular invitee at National Law School (Dwarka – New Delhi) to speak on RTI-related issues. Only recently he was invited to be in a panel at annual convention of Central Information Commission being held in September 2013. He was also invited for key-note address and Chief Guest at prestigious Symbiosis International University Pune. He was amongst the six nominees for ‘Indian of the year Award 2013’ by CNN IBN. Law schools’ text-books have prominently included his RTI petitions especially relating to the Supreme Court. His RTI petitions have resulted in landmark reforms including like introduction of ‘Judicial Accountability Bill’ in Parliament. He has always utilized the RTI Act with a positive attitude for reforms which is admired by all Central Information Commissioners (past and present). The media trusts him for his independent and professional views on the Transparency Act as well as aspects of corruption and irregularities in different forms of governance. “It will be my endeavour to make the Delhi government and its sub-ordinate public authorities amongst the best-rated ones to respond to RTI petitions,” said Mr. Agrawal in a press release issued from New Delhi on Sunday. He said that with his own experience he was aware of several shortcomings with the Delhi government and its associated public authorities in handling RTI petitions, and attempts will be made to rectify them. As per the Hindu report he intends to contact former and existing Central Information Commissioners (CICs) dealing with petitions filed at CIC in respect of public authorities concerning Delhi government and related authorities for their feedback to improve the system. He said to Hindu that he will also take care of difficulties faced by officers in handling RTI petitions at Delhi government and sub-ordinate offices as he will strive for bringing maximum transparency in the administration as envisaged by the Lt. Governor.